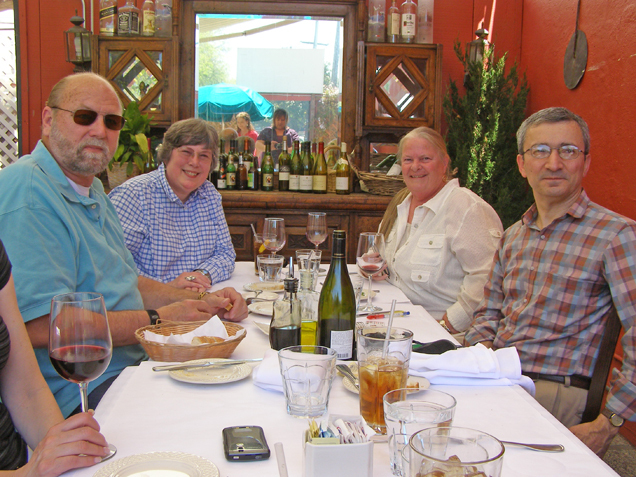 A few motivated alumni managed to squeeze two reunions into one weekend. 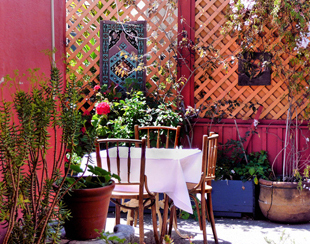 On Saturday, April 18, a group met at the Turkish Kitchen in Berkeley, California. 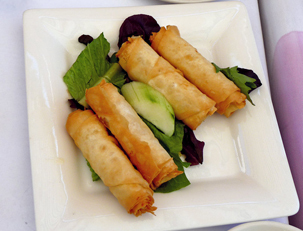 Three of the attendees, John Batt 63, Nelia Athey 64 and Anita Donohoe 66, stayed in the area and went to a brunch at Sultana on Sunday. Believe it or not, Nelia Athey experienced her first reunion with Ankara alumni on Saturday at the Turkish Kitchen. She is still basking in the afterglow of connecting with fellow alumni. Thank you, Nelia, for sharing your photographs and enthusiasm. John Batt 63' Nelia Athey 64, Anita Donohoe 66, Ahmet Toprak. Ahmet is the host of the Turkish Culture List. 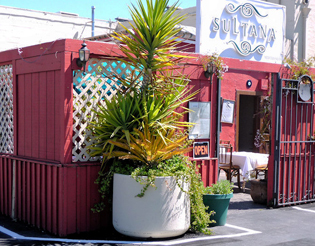 The Sultana restaurant was our meeting place for the Mini in Menlo. Anita had arranged for a nice table outside under a canopy. It hit 90 degrees there, so the shade was welcome – even necessary. Attending were Anita and her beautiful daughter Melina with her husband Mike, John, Ahmet (Anita’s friend who directs an English language Turkish radio program or is it the whole station? I’m not sure on that), two ladies Anita used to work with, and me. It was a continuation of a great visit started the day before in Berkeley. Except I now *knew* most of the folks there and so I was meeting newly made “old friends.” More stories were told, memories refreshed, and Turkish bandied about. Ahmet was a real joy – personable, funny, and an encyclopedia of all things Turkish. Not a huge surprise as he is from Turkey. (grin) He was able to fill us in on half remembered things in Turkey, as well as new and interesting stuff. One highlight for me was to taste Kavaklidere Yakut wine. My folks used to get Kavaklidere wines and they were the first wines I ever tasted. I thought they were pretty good, but was unsure just how well my memories of them would stand up to years of drinking California’s finest. Yakut was quite good! 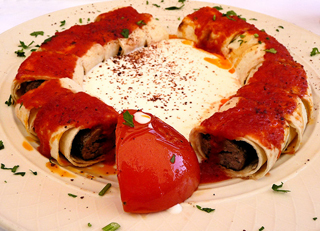 I ordered beyti kebab – a dish that wasn’t around when I lived in Ankara. It was delicious! Anita Donohoe brought an album of Turkish music to give to Ahmet Toprak. 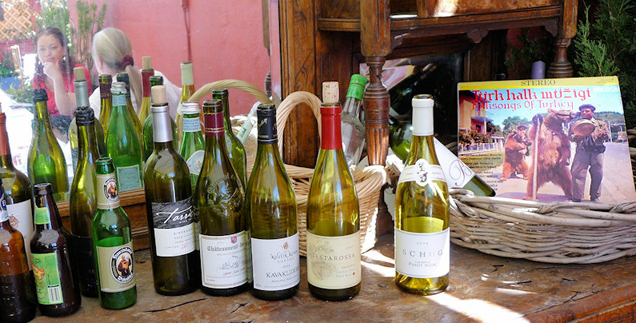 The Kavaklidere Yakut is the wine bottle the third from the right. 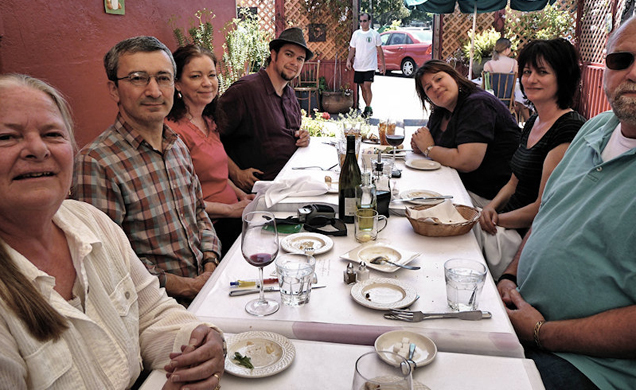 Anita Donohoe 66, Ahmet Toprak, Linda Jo Trosclair, Mike and Melina Murray (Anita's daughter), Terri Vierra, John Batt 63.